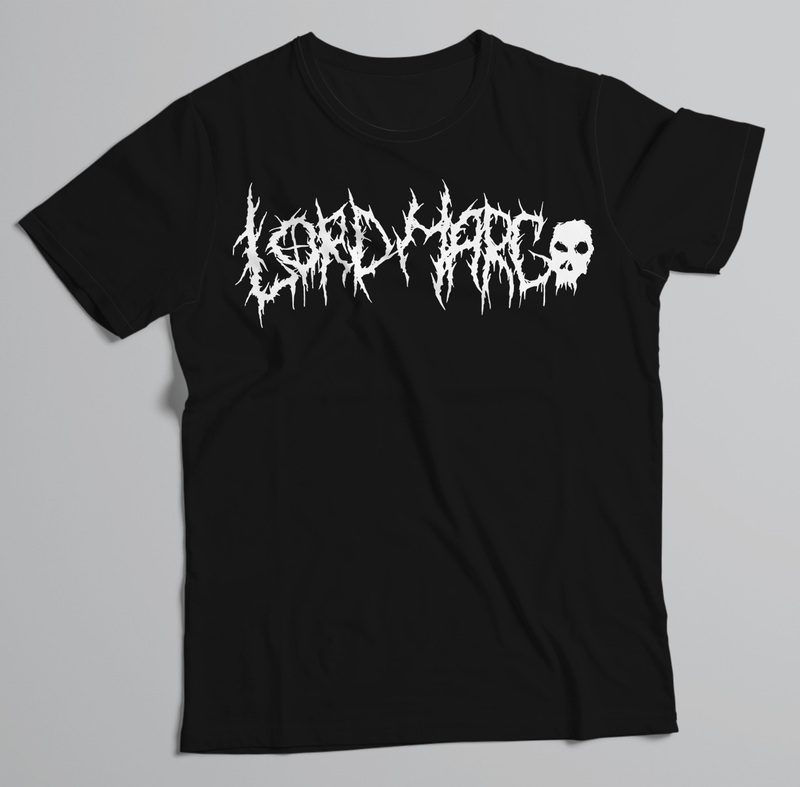 UPDATE: 10/5/2017 – BACK BY POPULAR DEMAND! limited quantity available – order while you can! 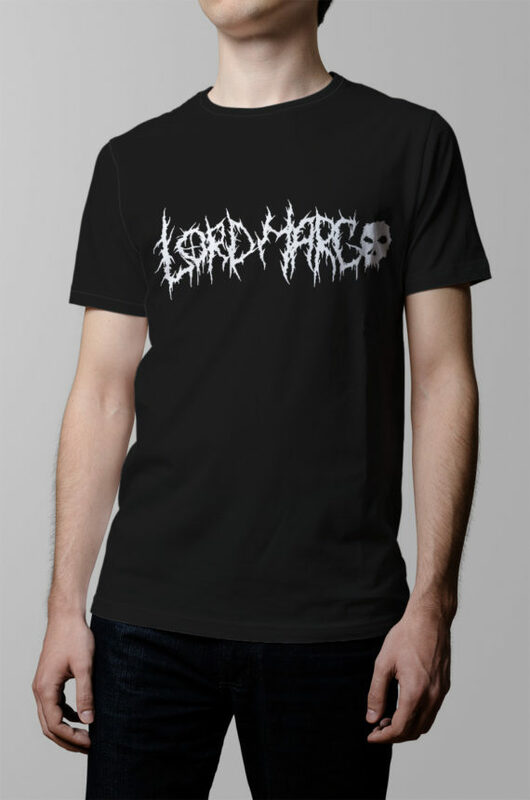 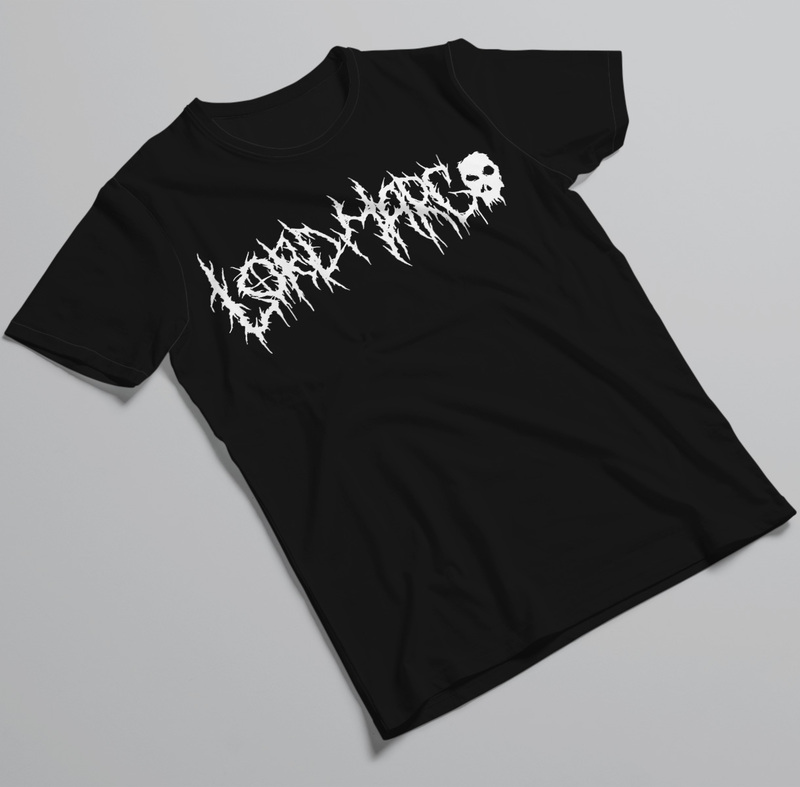 Lord Marco official logo on the front. 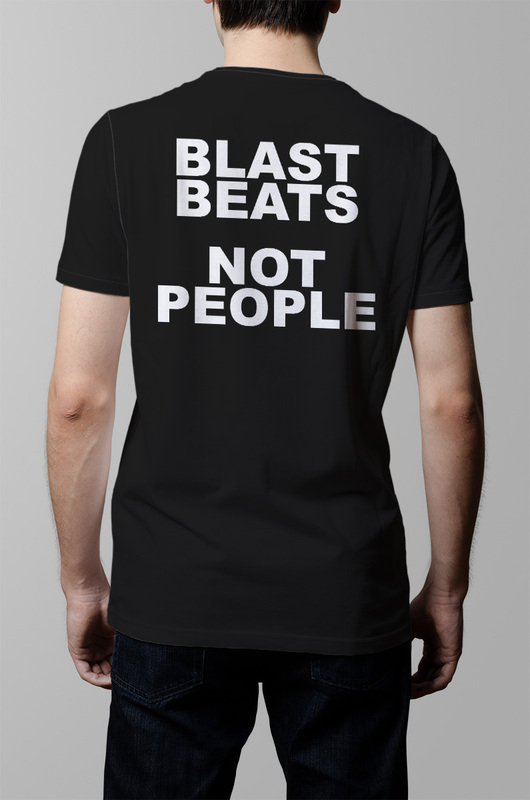 “Blast Beats Not People” slogan on the back. 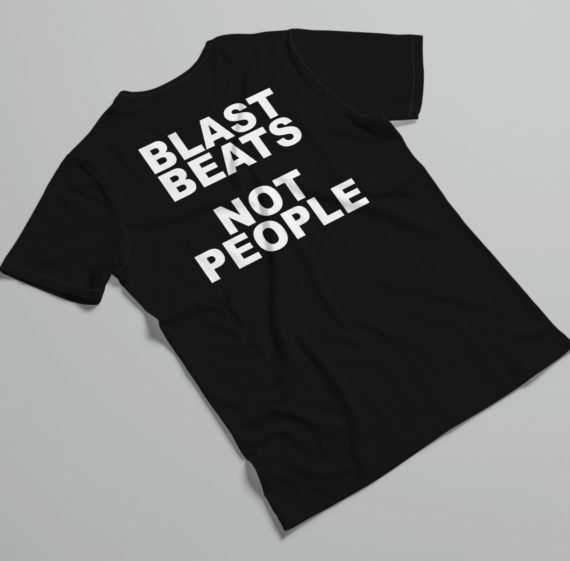 White text silk screen printed on a black crew neck shirt.